A violin concerto is a concerto for solo violin and instrumental ensemble. Such works have been written since the Baroque period, when the solo concerto form was first developed, up through the present day. Many major composers have contributed to the violin concerto repertoire, with the best known works including those by Bach, Bartók, Beethoven, Brahms, Bruch, Mendelssohn, Mozart, Paganini, Prokofiev, Shostakovich, Sibelius, Tchaikovsky, Dvorak and Vivaldi. Edgar Meyer is an American bassist and composer. His styles include classical, bluegrass, newgrass, and jazz. His collaborators have spanned a wide range of musical styles and talents; among them are Joshua Bell, Hilary Hahn, Yo-Yo Ma, Jerry Douglas, Béla Fleck, Zakir Hussain, Sam Bush, Stuart Duncan, Chris Thile, Mike Marshall, Mark O'Connor, Christian McBride, and Emanuel Ax. Lexington is an independent city in the Commonwealth of Virginia in the United States. At the 2010 census, the population was 7,042. It is the county seat of Rockbridge County, although the two are separate jurisdictions. The Bureau of Economic Analysis combines the city of Lexington with Rockbridge County for statistical purposes. Lexington is about 57 miles (92 km) east of the West Virginia border and is about 50 miles (80 km) north of Roanoke, Virginia. It was first settled in 1777. The Peabody Institute of The Johns Hopkins University (JHU) is a conservatory and university-preparatory school in the Mount Vernon-Belvedere neighborhood of northern Baltimore, Maryland, United States, facing the landmark Washington Monument circle at the southeast corner of North Charles and East Monument Streets. Jaime Laredo is a violinist and conductor. Currently the conductor and Music Director of the Vermont Symphony Orchestra, he began his musical career when he was five years old. In 1948 he came to North America and took lessons from Antonio de Grassi. He also studied with Frank Houser before moving to Cleveland, Ohio, to study under Josef Gingold in 1953. He studied with Ivan Galamian at the Curtis Institute of Music until his graduation. From 1960 to 1974 he was married to the pianist Ruth Laredo. Laredo is currently a professor at the renowned Indiana University Jacobs School of Music. He served as artistic advisor for the Fort Wayne Philharmonic Orchestra and guest conducted the orchestra on April 18, 2009, in a program featuring his wife, the cellist Sharon Robinson. He was scheduled to again conduct the orchestra for two programs during the 2009–10 season. Laredo and Robinson were also featured soloists in a special concert conducted by Andrew Constantine, who became the Philharmonic's music director in July 2009. Hahn commissioned 26 contemporary composers to write short encore pieces for In 27 Pieces: the Hilary Hahn Encores. Among the composers are David Del Tredici, Jennifer Higdon, Du Yun, Elliott Sharp, David Lang, Nico Muhly, James Newton Howard, Valentyn Sylvestrov and Max Richter. For the 27th encore, she held an open contest that drew more than 400 entries and was won by Jeff Myers. The international premiere tours, from 2011 to 2013, were met with wide critical and audience acclaim. In November 2013, these 27 short pieces were released on Deutsche Grammophon. The recording won the Grammy Award for Best Chamber Music/Small Ensemble Performance. Hahn's official website includes a section entitled "By Hilary". 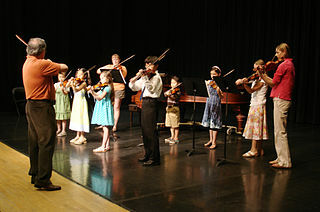 In the Strings Magazine interview, Hahn said that the idea for her "Postcards from the Road" feature originated during an outreach visit to a third-grade class in upstate New York. The class was doing a geography project in which the students asked everyone they knew who was traveling to send postcards from the cities that they were visiting, in order to learn more about the world. Hahn decided to participate after receiving a positive reaction from her suggestion that she take part as well. Hahn enjoyed her first year's experience with the project so much that she decided to continue it on her new website. A few years later, she expanded the postcards to a journal format. Journal entries usually include photographs from her tours and rehearsals. Isaac Stern was an American violinist. 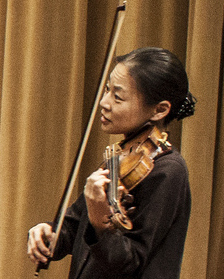 Midori Goto who performs under the mononym Midori, is a Japanese-born American violinist. She made her debut with the New York Philharmonic at age 11 as a surprise guest soloist at the New Year's Eve Gala in 1982. In 1986 her performance at the Tanglewood Music Festival with Leonard Bernstein conducting his own composition made the front-page headlines in The New York Times. Midori became a celebrated child prodigy, and one of the world's preeminent violinists as an adult. Shlomo Mintz is an Israeli violin virtuoso, violist and conductor. He regularly appears with orchestras and conductors on the international scene and is heard in recitals and chamber music concerts around the world. Viktoria Yurievna Mullova is a Russian violinist. She is best known for her performances and recordings of a number of violin concerti, compositions by J.S. Bach, and her innovative interpretations of popular and jazz compositions by Miles Davis, Duke Ellington, the Beatles, and others. Rivka Golani is an Israeli viola player. She has performed as soloist with many orchestras throughout the world including the Boston Symphony, Calgary Philharmonic, Royal Concertgebouw, BBC Symphony, BBC Philharmonic, Hong Kong Symphony, Singapore Symphony, Royal Philharmonic, Rotterdam Philharmonic, Israel Philharmonic, Tokyo Metropolitan, Montreal Symphony and the Toronto Symphony. More than 250 pieces have been written for her, including over 60 concertos. Janine Jansen ; born 7 January 1978 in Soest in the Netherlands) is a violinist and violist. Julia Fischer is an acclaimed German classical violinist and pianist. She teaches at the Munich University of Music and Performing Arts and performs up to 60 times per year. On 1 January 2008, at the Alte Oper in Frankfurt, Fischer performed Camille Saint-Saëns' Violin Concerto No. 3 in B minor as the solo violinist, and Edvard Grieg's Piano Concerto in A minor as a pianist, two of the most technically demanding concertos. Rachel Barton Pine is an American violinist. She debuted with the Chicago Symphony at age 10, and was the first American and youngest ever gold medal winner of the International Johann Sebastian Bach Competition. The Washington Post wrote that she "displays a power and confidence that puts her in the top echelon." Anne Akiko Meyers is an American concert violinist who performs as soloist and recitalist. Meyers was the top-selling classical instrumentalist of 2014 on Billboard's traditional classical charts. Viviane Hagner is an internationally renowned violinist. She was born in Munich, Germany in 1977, to a German father and Korean mother. She is sister to Nicole Hagner, the pianist. Piotr Anderszewski is a Polish pianist and composer. Raymond Hyam Cohen was an English classical violinist. Allan Vogel is an American oboist and educator. He was the former Principal Oboe of the Los Angeles Chamber Orchestra. Jeffrey Alan Kahane is an American classical concert pianist and conductor. 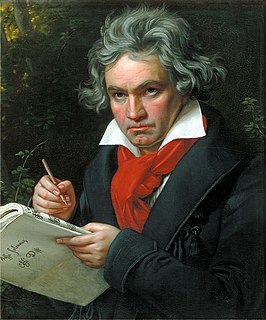 He was music director of the Los Angeles Chamber Orchestra. This is the discography for Tanya Anisimova. Edith Peinemann is an internationally recognized German violinist and professor of violin. At age nineteen she won the ARD International Music Competition in Munich, and made her U.S. debut as soloist in 1962 with Max Rudolf, after which she became a protégé of George Szell. In 2005 she became president of the European String Teachers Association. Marianna Shirinyan, is an Armenian-Danish musician and prizewinner of various musical contests. A Steinway Artist. Serge Blanc was a French classical violinist. A child prodigy trained at the Conservatoire de Paris, he performed from the age of 11 in Paris with the Orchestre Colonne and the Pasdeloup Orchestra. He studied further at the Juilliard School of Music and played at the Tanglewood Festival. Back in France, he founded several chamber music ensembles and became principal of the second violins at the Orchestre de l'Opéra national de Paris. For several years, he conducted the Orchestre philharmonique de Radio France, but then returned to the opera orchestra. He taught at the Conservatoire de Paris, and edited Bach's Sonatas and Partitas for Solo Violin. 1 2 "Great Performances – Hilary Hahn". PBS.org. PBS. Archived from the original on October 12, 2013. Retrieved October 2, 2013. ↑ Smith, Linell (December 15, 1991). "What nature gave, a 12-year-old hones with discipline". The Baltimore Sun. Archived from the original on October 7, 2013. Retrieved October 2, 2013. ↑ Smith, Linell (October 9, 1994). "Hilary Hahn to play at Lincoln Center". The Baltimore Sun. Archived from the original on October 12, 2013. Retrieved October 2, 2013. ↑ "Hilary Hahn, 15 – Beethoven Violin Concerto, Lorin Maazel, 1995". theviolinchannel.org. The Violin Channel. Archived from the original on October 12, 2013. Retrieved October 2, 2013. ↑ Ross, Adrian (November 15, 2005). "A moment with Hilary Hahn". The Daily Princetonian. Archived from the original on April 2, 2012. Retrieved May 29, 2010. ↑ Davidson, Justin (November 28, 1997). "Past Her Prime at 17? : Younger violinists are fast on the heels of Hilary Hahn. But she doesn't feel the heat". The Los Angeles Times. Archived from the original on October 12, 2013. Retrieved October 2, 2013. ↑ "Curiosity". Mister Rogers' Neighborhood. Season 30. Episode 1755. February 25, 2000. PBS. Retrieved August 6, 2017. ↑ Great Performances (December 2001). "The Art of Violin: Hilary Hahn". PBS. Archived from the original on July 26, 2008. Retrieved May 13, 2008. ↑ Beaucage, Réjean (November 5, 2003). "Hilary Hahn – The Lady Ascending". La Scena Musicale. 9 (3). Archived from the original on November 22, 2008. Retrieved May 13, 2008. ↑ Huizenga, Tom (September 12, 2010). "First Listen: Hilary Hahn Violin Concertos, Old And New". NPR. Archived from the original on October 12, 2013. Retrieved October 2, 2013. ↑ Bialostozky, Evan (2 April 1999). "Hilary Hahn's Beethoven/Bernstein". Yale Herald. Archived from the original on 12 October 2013. Retrieved 2 October 2013. ↑ Clements, Andrew (March 6, 2008). "Schoenberg & Sibelius: Violin Concertos, Hahn/ Swedish Radio Symphony Orch/ Salonen". The Guardian. Archived from the original on October 13, 2013. Retrieved October 2, 2013. ↑ von Rhein, John (December 2, 2011). "Brahms and Stravinsky Violin Concertos Hilary Hahn..." The Chicago Tribune. Archived from the original on October 12, 2013. Retrieved October 2, 2013. ↑ Woolfe, Zachary (September 20, 2010). "Brahms and Stravinsky Violin Concertos Hilary Hahn..." Capital. Archived from the original on October 12, 2013. Retrieved October 2, 2013. ↑ Stearns, David Patrick (October 2, 2004). "Hilary Hahn's best disc to date. She gives an excellent performance of Elgar, an Englishman who doesn't always travel well". The Philadelphia Inquirer. Archived from the original on October 12, 2013. Retrieved October 2, 2013. ↑ von Rhein, John (March 31, 2007). "Youthful Hilary Hahn delivers beauty, artistry and maturity". The Chicago Tribune. Archived from the original on October 12, 2013. Retrieved October 2, 2013. ↑ "Hilary Hahn". The San Francisco Classical Review. Archived from the original on October 12, 2013. Retrieved October 2, 2013. ↑ "Birthday Concert for Pope Benedict XVI". Deutsche Grammophon. Archived from the original on October 12, 2013. Retrieved October 2, 2013. ↑ Johnson, Melinda (August 5, 2010). "Violinist Hilary Hahn Finds Skaneateles 'Very Peaceful'". The Syracuse Post-Standard. Archived from the original on October 12, 2013. Retrieved October 2, 2013. ↑ "The Tonight Show with Conan O'Brien: Rob Lowe, Jane Krakowski, Hilary Hahn". TV.com. Archived from the original on June 4, 2011. Retrieved February 13, 2010. ↑ Rose, Joel (March 4, 2007). "Concert Violinist Plays Indie-Rock Gigs". Weekend Edition Sunday. NPR. Retrieved May 13, 2008. ↑ Bargreen, Melinda (January 15, 2007). "Hilary Hahn at ease in classical, "jeans and chains" worlds". The Seattle Times . Retrieved May 29, 2010. ↑ "US-Geigerin Hilary Hahn erhält Preis der Dresdner Musikfestspiele". Neue Musikzeitung (in German). Retrieved November 21, 2015. ↑ "Violinist Hilary Hahn gives concerts for babies". The Strad. Retrieved August 1, 2017. ↑ Clemency Burton-Hill (November 5, 2013). "Hilary Hahn's project In 27 Pieces: Reviving the encore". BBC Culture. Retrieved January 12, 2015. ↑ David Schulman; Jeffrey Freymann-Weyr (October 13, 2004). "Musicians in Their Own Words: Hilary Hahn". NPR. Retrieved May 13, 2008. ↑ "Hilary Hahn,Violin". the Strad. Archived from the original on April 22, 2016. ↑ "Bows by Isaac". Salchow & Sons. Retrieved February 15, 2018. ↑ "Famous Violinists and Their String Brands". violin-strings.com. Retrieved November 21, 2015. ↑ O'Niel, L. Peat (August 26, 1999). "Guest Violinist, 19, Sets Virtuoso Tone In Loudoun Symphony Performance". The Washington Post . Retrieved May 29, 2010. 1 2 Joshua Barone (Oct 5, 2018). "Hilary Hahn Returns to Bach, 21 Years Older. And Maybe Wiser". New York Times. ↑ Colin Eatock (May 27, 2012). "Violinist opens up - onstage and online". Houston Chronicle. Retrieved August 28, 2018. ↑ Quinn, Emily (October 13, 2005). "Albums by Trio Mediæval, Hilary Hahn, Natalie Zhu enter Billboard Classical Chart". Playbill Arts. Archived from the original on September 27, 2011. ↑ "Bach: Violin & Voice". Amazon.com. Retrieved February 13, 2010. Wikimedia Commons has media related to Hilary Hahn .